Atletico Madrid's track record of replacing world-class strikers should put fans' minds at ease amid the rumors linking Antoine Griezmann to Barcelona, says Diego Forlan. If Antoine Griezmann swaps Atletico Madrid for Barcelona, Diego Forlan is convinced the club will find a suitable replacement. 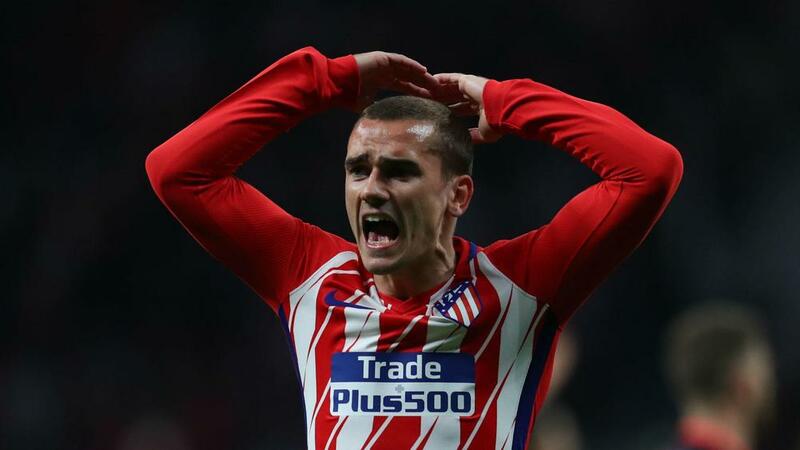 France international Griezmann opted to remain with Atletico last season despite persistent links to Manchester United, stating the club's transfer embargo made it tough for him to depart. The 27-year-old is now a rumoured target for LaLiga champions Barca, who are said to be keen to activate the reported €100million release clause in his contract, which runs until 2022. Having seen the club continue to develop after the exits of star strikers Sergio Aguero, Radamel Falcao and Diego Costa, Forlan is confident Atleti could cope with Griezmann leaving. "There was [Sergio] Aguero, [Radamel] Falcao, Diego Costa and others came in. No player is above the club. Life goes on," Forlan told Cadena COPE. "The same thing happened with Griezmann when Atletico signed him from Real Sociedad. If we complain that Barca buy him it would by hypocritical. "Everyone takes advantage of their moment and if the player wants to go, they go." Atleti need a point at home against Eibar on Sunday to guarantee a second-place finish in LaLiga, but first they take on Marseille in the Europa League final in Lyon on Wednesday. Forlan believes the pressure is on to claim a second Europa League crown under Diego Simeone. "If Atletico are the favourite because of what they have won, they have an obligation to win the Europa League," he added. Previous The XTRA: Why Was Messi Rested In Loss To Levante?